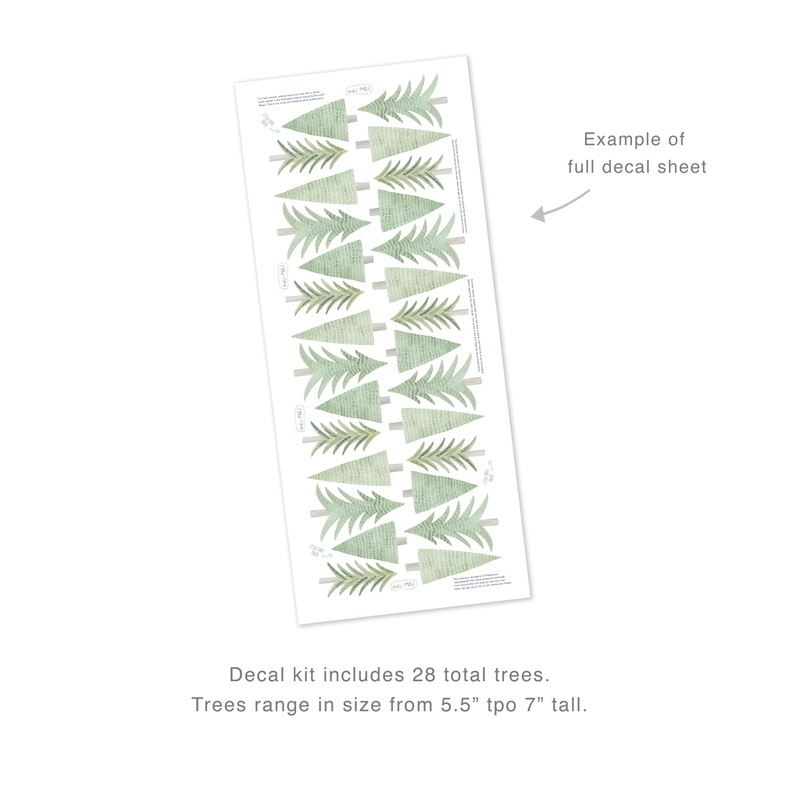 This set of repositionable tree wall decals will transform any room in seconds! The scent of fresh pine and spruce is in the air! 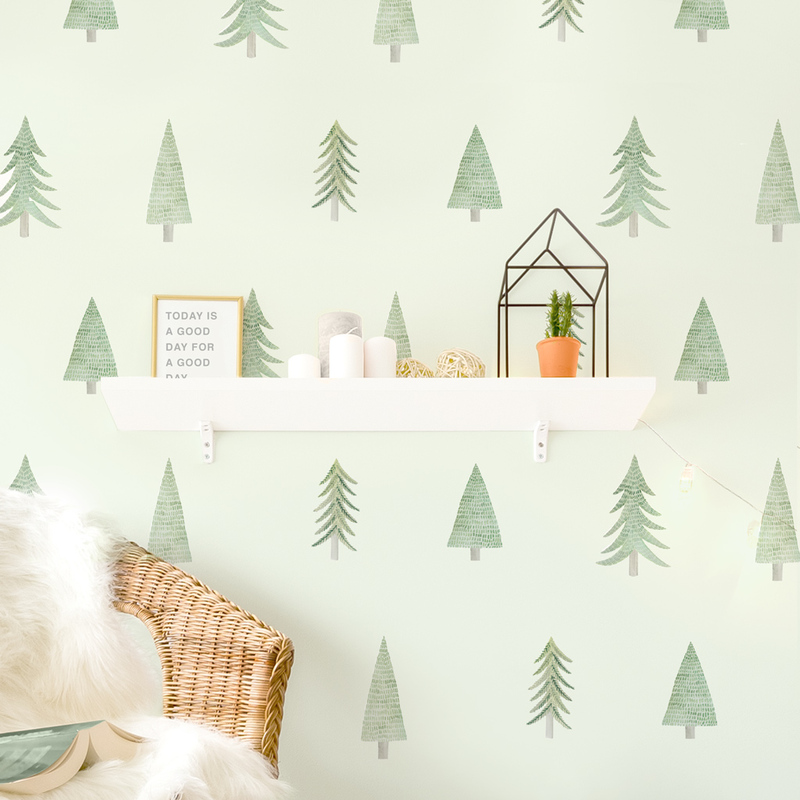 From original watercolor illustrations, you can create your own cozy, evergreen forest for your favorite little one.